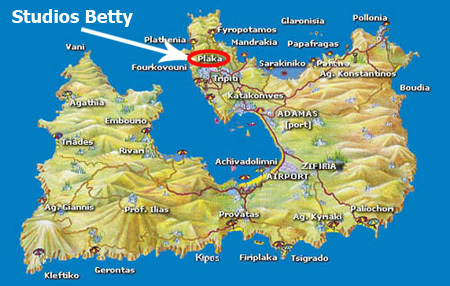 Studios Betty is in the capital of island Plaka and offer views of the back Plaka (paths). At a distance of 20 meters is public parking. The distance from the airport is 7km. anf from the port 6km. 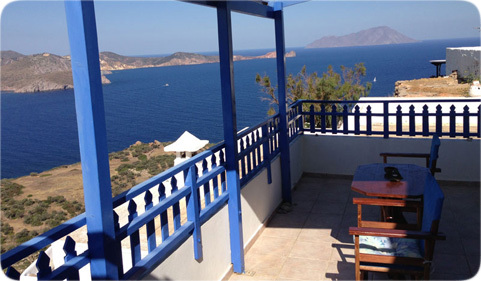 If you arrive by bus stop at the station plaka and you will find us in 100m.